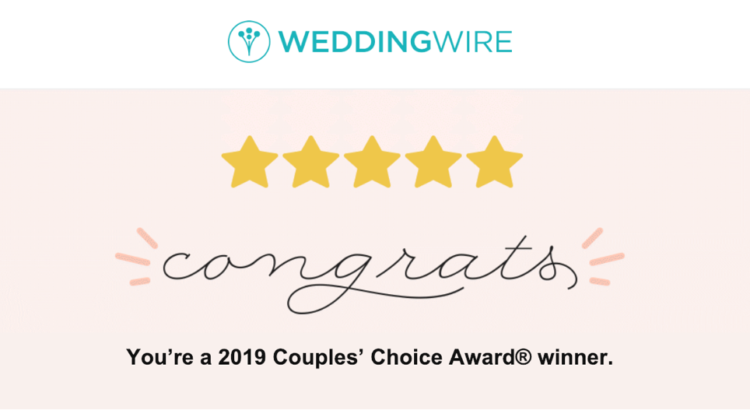 2019 WeddingWire Couple’s Choice Award Winners! We won our 7th WeddingWire Couple’s Choice Award! Thanks to all the couples from 2018, and we still have some openings for weddings in 2019! 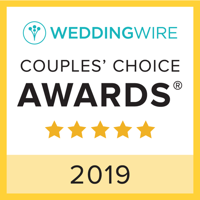 The WeddingWire Couples’ Choice Awards® recognize local wedding professionals who demonstrate excellence in quality, service, responsiveness, and professionalism. Winners are determined by the reviews from more than one million WeddingWire couples.